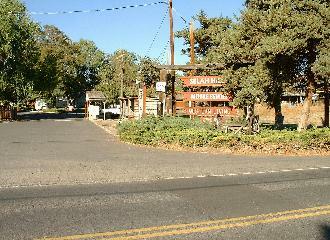 Selah Hills is a 104-unit manufactured housing community located one mile north of the Selah High School on Selah Loop Road. It offers large lots, many which provide views of the countryside. The community rests on a gentle slope with many trees and green lawns. All the streets are asphalt and provide easy access to each lot. Each lot has off-street parking for two vehicles. The peaceful community is conveniently located to the services and stores of downtown Selah. As mentioned, it is only one mile north of the high school, junior high and Selah Elementary School. The Selah School District is rated as one of the best in the state. Space rents at Selah Hills are $330.00 per month and include water, sewer and garbage service for one household trash can. Pricing is for new residents moving into the park. Manager Carol Lopez can be reached at 509-930-5297. We look forward to having you visit the property and hope you will want to call Selah Hills your home! Please contact Carol Lopez at 509-930-5297. Take a look at what is For Sale! Contact Carol Lopez at 509-930-5297.